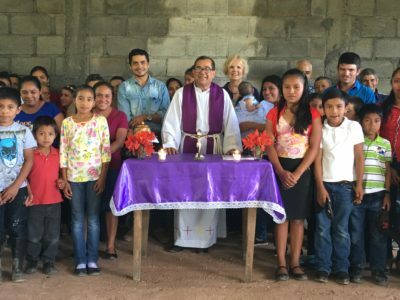 Our sister parish relationship with Our Lady of the Angels in Nicaragua is a vibrant, active and inter-active relationship, where we at St. Edward’s support, affirm and encourage the good work that is being done in our Sister Church and its communit y. We sometimes do projects with the community in which they initiate and invest their own time and person power. We add what we can to help them accomplish their goals – sometimes the time of volunteers from our parish working alongside people from their community, and sometimes monetary support to add to their own. Our primary goal is to build, maintain and enrich a wonderful relationship with them, where they come to know who we are – and they pray for us continually especially when we have specific needs – and we come to know them as people of great faith within circumstances of great poverty and challenge. All the other things we may do with and for them is only to make this relationship stronger, because we can never alleviate their poverty. We learn so much about how to depend upon God and live celebratory lives from these incredible people. Involvement in the Sister Parish Committee is for anyone who would like to share the common bond of faith with our brothers and sisters in Nicaragua and learn about their lives and culture. This can be accomplished in various ways. There are trips to our sister parish in Nicaragua, Nicaraguan visitors who come here, and mini-projects throughout the year at St. Edward’s Church. This committee has random meetings each year and is very much an internet facilitated entity. Information and photos are shared via email during trips and throughout the year. You are invited to join the Sister Parish Committee. We look for people who want to find ways to communicate better with this community, to enrich the relationship, and to sustain our sister relationship with them. We also invite you to consider traveling to Jinotega to meet the wonderful people of our sister parish and to represent St. Edward’s to Our Lady of the Angels by giving them faces to associate with St. Ed’s, allowing them to retain their dignity and thank us in their own way while showing what they have to offer to us as part of our reciprocal relationship. You may also be interested in hosting people who occasionally visit from our Sister Parish community. 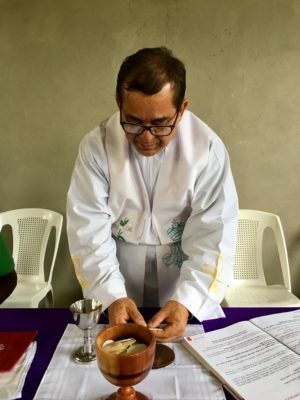 In the past that has included two different priests, Padre Duglas & Padre Eliar, Victorino (the head of the non-governmental organization we work with), and Vilma, one of the Pastorales de los Infermos (Pastoral Ministers). To get involved or learn more, contact the parish office at (952) 835-7101. The next step after beginning a spiritual and friendly relationship is “faith in action” which includes the many social projects we have tried to help with. Many of the peasants there are coffee pickers and like our migrant workers they work day to day during the harvest and then scratch for their living the rest of the year. The government tries to help solve these problems, but Nicaragua is a poor country and they need outside help. In 2000 we began a relationship with AVODEC, a non government grass roots organization which was already operating and who agreed to help us complete various social projects to benefit the community. AVODEC stands for Asociación de Voluntarios para el Desarrollo Comunitario. Volunteer Association for Community Development. In 2008 we were accepted as a partner of Feed My Starving Children and we now receive two 40′ containers of Mana Pack food. This is a great blessing to us and those living in extreme poverty in the city and surrounding countryside. The food is donated and we pay the shipping. The food is stored and distributed from a warehouse in the church to our partners, helping to provide nutrition to those in need. Our goal is to continue to expand this mission in the future. 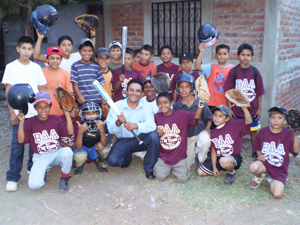 More than 60 people of all ages have traveled to Nicaragua in the past. Some have traveled four or five times. Many are looking for a way to share our common bond of faith, encounter a new culture, some travel to see first hand how our projects have been changing lives there. It’s definitely adventure tourism without the crowds of tourists. All go because they would like to help people, but all come back knowing without a doubt that they have been the ones who have received the blessings and their lives are changed forever. Our own Susan K. was interviewed by The Catholic Spirit in July 2016 about mission trips! 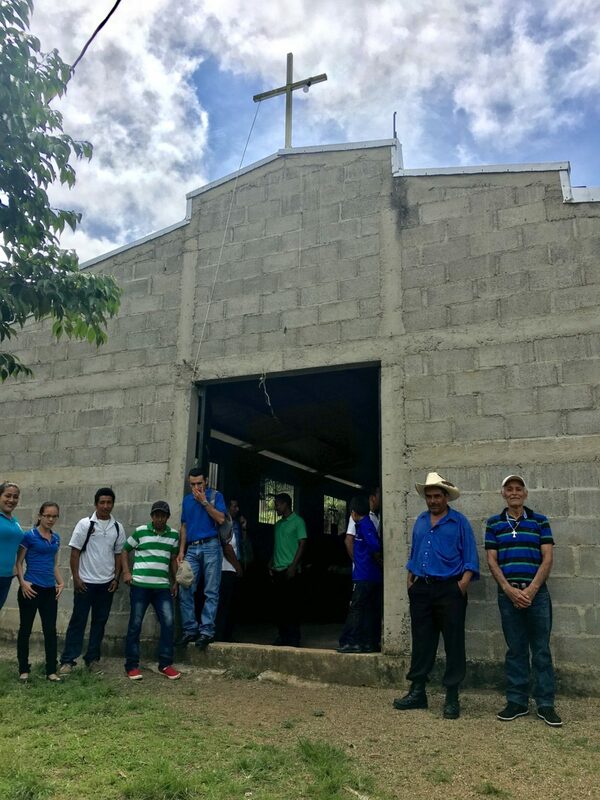 Though we emphasize focusing on our relationship with this community, we often find that pursuing certain projects which they initiate offers us a venue for being together, a way to interact more easily with the people, while at the same time supporting initiatives that help their poor community. 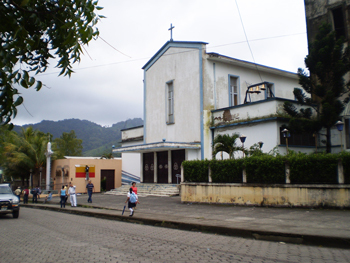 Build and repair the main Jinotega church and also more than 25 chapels in the countryside. Donate accordions, keyboard, guitar strings and other musical necessities for worship. Have a dental clinic in the church with donations from the University of Minnesota and the family of parishioner Roger Schultz. Uncooked food to various poor families. We use the church facility to store the FMSC food. Sports equipment for poor neighborhoods. Work together to receive containers and distribute FMSC food to appropriate community members living in extreme poverty. We subsidize administration costs of AVODEC. Cabbage and tomato project where families received seeds and after a harvest they were responsible for providing seeds for another group of families out of what they produced. Paid for a doctor to go with the priest to the countryside chapels when he went to celebrate mass. Shipment of clothes and medical equipment. Seed project where the people receive training on how to manage their agricultural products. Toys for the disabled school and the hospital. Please contact Sue Kellett at for more information.